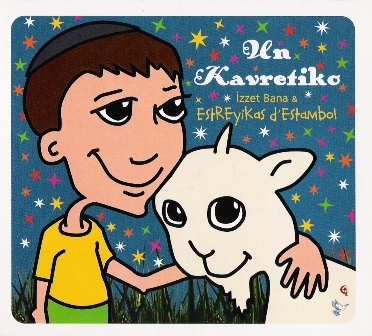 The children’s choir Estreyikas d’Estambol was founded by Izzet Bana and started training at the beginning of the school year of 2004-2005. Today the choir has 35 members, girls and boys of ages between 8 and 14. It is the only children’s choir in the world that sings in Judeo-Spanish and who are characterized as a ‘Sephardic Children’s Choir.’ The aim of the choir’s foundation is to help the new generation of Sephardic children know and love the slowly disappearing Judeo-Spanish culture. In support of this aim, Estreyikas d’Estambol present their songs in their traditional and authentic forms. The choir has performed in many cultural activities in cultural clubs. Their first CD is dedicated mostly to Jewish festival songs. Although still in its infancy, the choir has received immense support and very positive reviews from all audiences. Thereforei they aim to represent our community both nationally and internationally.